The drive to maintain a consistent PageRank may sound like trying to win a popularity contest. And the harder you try, the harder the competition gets. But have you wondered why winning this popularity contest is such a big deal? Before we answer this question, let’s understand what a ‘PageRank’ is? PageRank is a technology that is used by Google to determine the importance of your webpage by looking at the pages that link to your site. Once your website is indexed, a PageRank is assigned to each page in your website. The score could be anywhere on a scale between 0 and 10. Scoring depends on the number and quality of websites that are linking to your webpage. 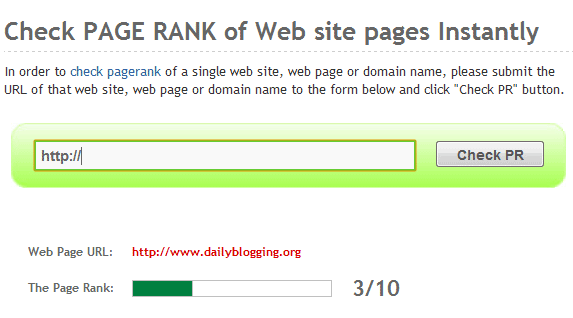 If you have come across PR N/A, it means that the website is new and a PageRank update will assign a score very soon. It is ideal to create pages for the consumption of users and not to attract search engines. If the content on your page is good, informative, and original then good sites will link to you. This will help you increase and maintain your site’s PageRank. But maintaining a good PageRank is a never-ending job. You can’t work at it one day, bring it up to your desired level and rest completely. Getting a good PageRank is a dynamic process that keeps evolving. And it is best if efforts to maintain consistent PageRank are undertaken regularly. Finally, you just have to run as fast as you can to stay in the same ‘high PageRank’ place. What are your thoughts on maintaining a consistent PageRank for your site or blog ? Jena Branch is a writer from Buycox.com and writes more about digital cable and high speed internet. To get more information, go to this link now. Great tips you’ve laid out here on how to increase one’s PageRank! I agree with you that maintaining or trying to increase one’s PageRank is a neverending task. Most newbies must be careful and avoid linking to link farms and other reciprocal linking sites. If they would like to maintain and get their PageRanks higher, then they only need to always rely on excellent quality content. Absolutely not correct. Just move on any webmaster forum and ask this question. And let me see if their answer matches to your words. My blogs PR is 1 and just google : adsense affects seo, article marketing still works, wordpress seo tips 2012, and many more and my site dominates pr 5 to pr 6 sites on search results..
First of all those are NOT my words, it’s a guest post. At DailyBlogging, when reviewing posts I don’t change the point of view of guest authors, we have to respect their view whole-heartedly. Also in that line/sentence, Jane has mentioned “Google assigns higher PageRanks to those sites that have incoming links that are relevant and have authority. That means if you get an inbound link from a high ranking site then your PageRank score will also be affected considerably.” (quoting the whole thing) which is true in my opinion. Although mere backlinks are not responsible for SERP, if your on page SEO and content are good enough then that factor can weigh in too. Sometimes the best connections you make happen offline. Meet new people through affinity networks on LinkedIn or attend a networking event or a meetup. Making personalized connections with people can lead to them sharing your content and vice-versa which helps build your link structure. Nice article on How to maintain a consistent pagerank. As I think concentrating on blog outbound links of a blog is best ideas to maintain a pagrank.